A list of U.S. Army servicemen reported either killed or missing during World War II. 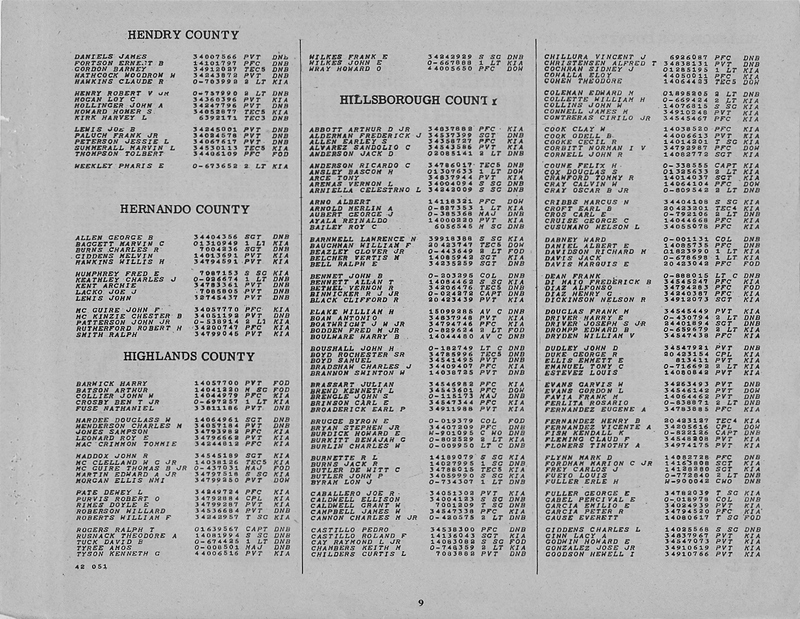 This particular page shows servicemen from Hendry, Hernando, Highlands, and Hillsborough Counties, Florida. A notable soldier listed in this record is Willis H. Hawkins (ca. 1919-1944). Hawkins lived in Istachatta for much of his life and was educated up through grammar school. He worked as a semi-skilled driver or chauffeur until he enlisted in the U.S. Army on October 20, 1943. Private Hawkins served in the 3rd Infantry Division's 3rd Reconnaissance Troop. The 3rd Division participated in Operation Dragoon, in which the Allies invaded southern France, and then traveled North towards the Rhineland. Pvt. Hawkins was Killed in Action on November 2, 1944. He was awarded a Purple Heart for his service and was buried at Epinal American Cemetery and Memorial in Dinozé, France. 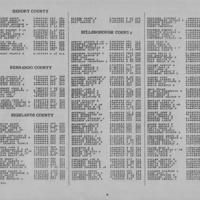 “World War II Honor List of Dead and Missing Military Personnel from Hendry, Hernando, Highlands, and Hillsborough Counties.” RICHES of Central Florida accessed April 23, 2019, https://richesmi.cah.ucf.edu/omeka/items/show/9359.